Pisa is not always my favourite place on earth. It’s fair to say I think the Piazza dei Miracoli with its iconic tower, the duomo, baptistery and not least cemetery is incredible. But it is surrounded by so much tourist crap frankly, that it does almost detract from the experience. However there are some undiscovered gems in the city. Hidden away on the streets away from the square are lovely shops, gelateria and trattorias. It really is a case of getting away from the crowds. Stay the night, see the piazza in a morning and then escape and discover the soul of this pretty decent university town. Numero 11 – Via S. Martino, 47. You’ll have to walk a little to find this. It lies after Piazza Garibaldi on the side of the river no tourists ever visit, except on their way in from the train station. 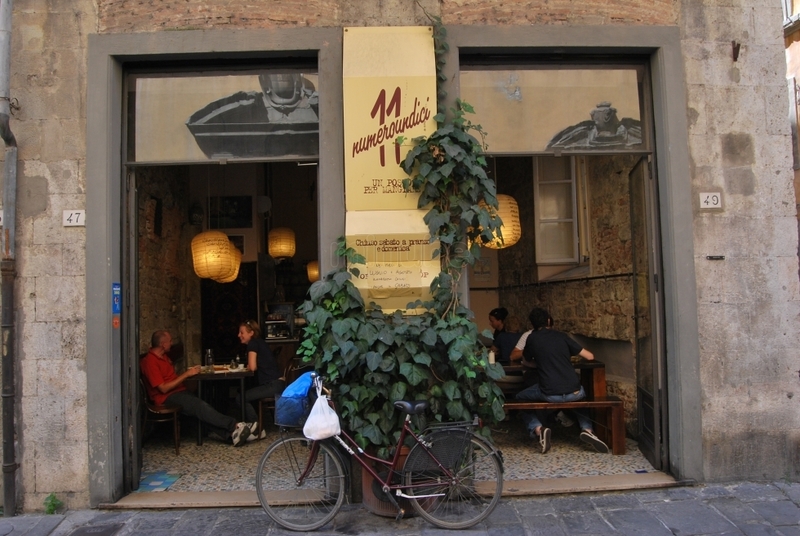 Best Place to Eat in Pisa? But it’s a walk that’s worth it. You set your own table, help yourself to free water from a draft machine, order at the counter – the food is fantastic, and when over clear your own table and even make the coffee yourself. All this helps to keep it cheap. Wonderful. Il Tegame – Piazza Cairoli, 9. I have been fortunate enough recently to accompany someone who knows Pisa very well on a few occasions. This place, the name of which officially translates as pot (and unofficially as something quite rude) is on the list of great places I am being shown in Pisa. Speciality is pasta – four types on one plate that you share. The menu changes every two weeks and incredibly the interior decor gets a complete re-vamp monthly by a local designer. When we went it was a sort of trippy Mad Hatters Tea Party theme. Very cool. Food amazing, service very good, wine not great to be frank, but will certainly return.